Many items commonly used in homes contain toxic chemicals that are harmful to the environment. These items are typically referred to as household hazardous waste (HHW). Proper use and disposal is critical to your safety and the health of the environment. View a list of common household items that qualify as HHW. For disposal information, please click on any of the categories listed below. Get information about upcoming free HHW Round-Up events in LA County. In October 2012, a new California law required the paint industry to develop a sustainable solution to manage postconsumer paint. Under the new program, the paint industry has made paint recycling more convenient by setting up hundreds of drop-off sites throughout the state where residents can bring leftover paint. Residents can drop off paint for FREE at the following locations in the Santa Clarita Valley. 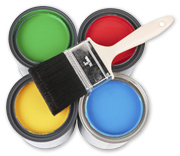 We suggest you call first to ensure they have sufficient capacity for your paint disposal needs. To find additional paint drop-off locations in Southern California you can search the statewide database. Please do not place used motor oil, filters, or other automotive fluids in your regular trash or recycling containers. Santa Clarita has over 30 certified collection centers that will take and recycle used motor oil and filters for FREE. Click the flyer image below to find a location near you. To dispose of antifreeze, gasoline, windshield washer fluid, or other types of automotive fluid, visit a S.A.F.E. Collection center listed in the “Other HHW” section below or watch for a local collection event. There is a solution for those old televisions, broken computers, half empty paint cans, unused pesticides and other hazardous waste sitting in your garage. You can even dispose of your cooking oil as well! If the above options don’t work for your electronic waste disposal, you may also check with your waste hauler to see if they can schedule a pick-up of your E-waste items at your home. Battery recycling has never been easier. The City has a battery recycling program to assist City residents with recycling household batteries, including AA, AAA, C cells, D cells, rechargeable and button batteries. If you are disposing of lithium batteries either tape the ends or put them in a plastic baggie first. If a CFL bulb is broken at your home or business, extra caution should be taken due to the small amount of mercury content in the bulb. Please open a door or window and leave the area for 10-15 minutes, then follow the clean up instructions by the U.S. Environmental Protection Agency at www.epa.gov. If you have unbroken bulbs to dispose of, please see the disposal locations below. At participating retail stores, customers can simply bring in any expired, unbroken CFL bulbs, and either give them to the store associate behind the returns desk or drop them into the designated bin. The bulbs will then be managed responsibly by an environmental management company who will coordinate CFL packaging, transportation and recycling to maximize safety and ensure environmental compliance. Waste Management (WM) offers the Sharps Home Delivery program for City of Santa Clarita residents. FREE sharps containers are available to residents of Los Angeles County. To get a free sharps container, visit one of their S.A.F.E. Collection Centers or attend a HHW Round-Up event. For information on both of these options, visit the L.A. County Sanitation District website. There are a few options available for residents who wish to dispose of medication or any narcotics in the Santa Clarita Valley. 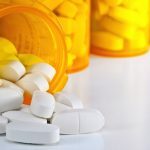 The Santa Clarita Valley Sheriff’s Station will host a monthly take-back event where pharmaceuticals and illicit drugs will be collected with no questions asked. To get a schedule of the take-back events, call the Sheriff’s station at (661) 255-1121 or visit their website. There is also a sharps/needle collection box located at the station that is available for residents that have a one-time need for disposal. See above for on-going sharps disposal programs. In addition to the above option for medication disposal, Henry Mayo has a medication disposal container located in the main lobby of the hospital. Medication can be dropped off by any Santa Clarita resident seven days a week from 8:00 a.m. to 8:00 p.m.